The car gets a five star rating in the Euro NCAP that says enough about the safety standards this car meets. Skoda Superb features include lane assist, adaptive cruise control system, park assist that further extend the safety. You get Skoda’s crew safety system which closes windows and tightens belts if the system detects an imminent dangerous scenario. We agree that the upper D-segment sedan space has diminished in India recently because of luxury brands introducing budget cars and the rise of premium SUV demand. However, there are still many who admire this segment and specially the Skoda Superb, there are many enthusiasts waiting for this new gen model. As a product, the latest offering from Skoda is sublime, they have priced it competitively, the styling is very unique and posh, cabin is luxurious and spacious while the driving experience is also quite pleasurable. 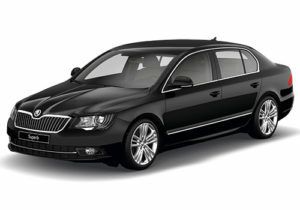 The overall package of the new Superb is appealing and if you are not fond of SUVs then look no further. It can be your chauffeur driven car on the weekdays and a fun machine to drive on the weekends. The new Skoda Superb offers the best of both worlds in its segment yet. Having said that, if you are looking a car solely for driving purposes then the Octavia makes more sense.